Like all fish, crappie spawn to reproduce. During the spawn, as well as other times of the year, they can be found in distinct areas of lakes, rivers, and reservoirs. 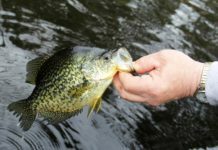 By understanding a little about their behavior during the different seasons, you can quickly become a better crappie fisherman. In the time leading up to a crappie spawn, both male and female crappie will gorge on any available food. They do this for two reasons: to fuel themselves for the growth spurt encountered at this point in their lives, and to prepare for the stressful upcoming spawn. Crappie spawn when the water temperature reaches 56-60 degrees. Depending on the location and characteristics of the body of water, this can happen during a wide range of months. Generally, spawning activity will begin earlier in the south (February-March) and later in the north (May-June). Below is a general guideline on when you can expect the crappie spawn to begin. When the crappie spawn does begin, the male crappie initiates by building the nest. This usually occurs in shallow, calm water near some sort of structure for protection. Crappie generally will spawn at a depth just below the point where sunlight begins to lose penetration. In many cases this will be less than 5 feet. 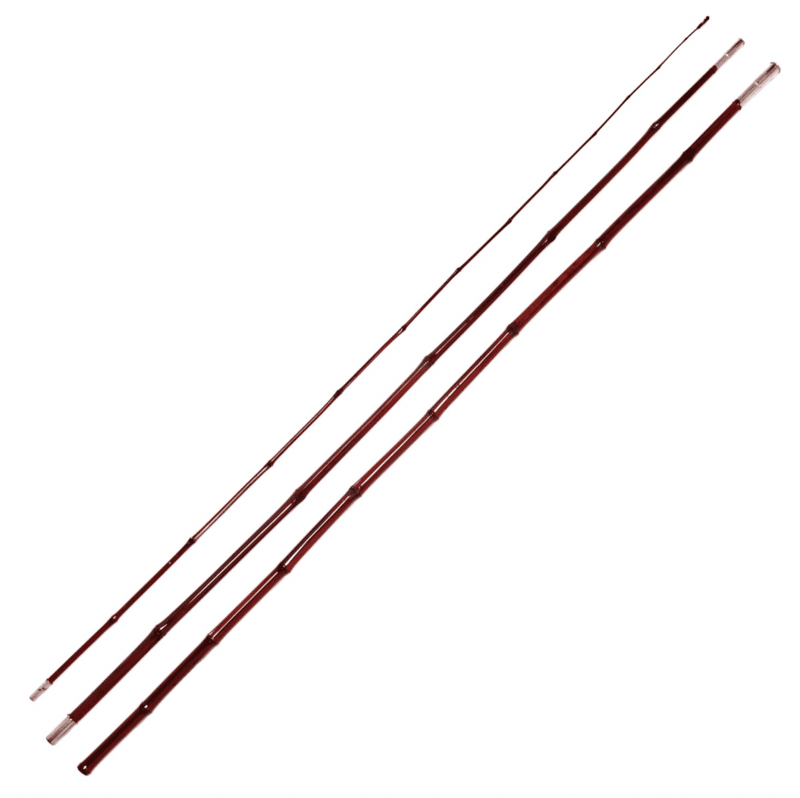 To test this, you can lower a white jig into the water and make a note of the depth at which you lose visual contact. 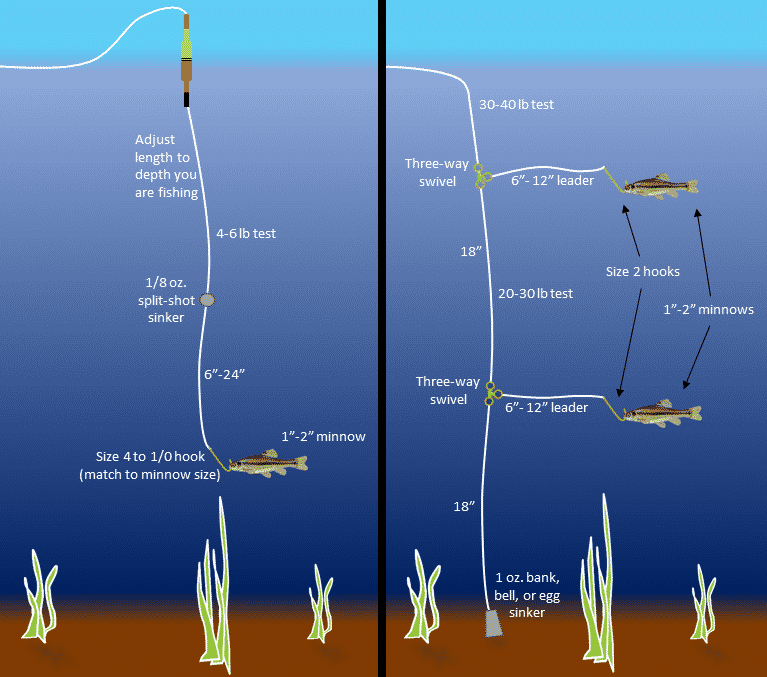 Just below this depth is where you should aim to present your lure/bait. After the female lays her eggs and they get fertilized by the male, the male will stick around to defend his soon to be fry (aka baby fish). During the spawn, the males become darker in color due to hormonal changes. 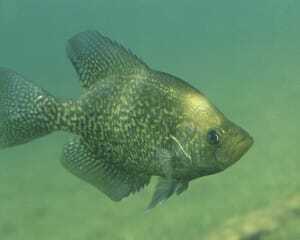 Crappie also become easier to catch due to being in shallower water and striking almost anything that impedes on their nests, this being especially true for the males. This is an important concept; if you are fishing during a crappie spawn and aren’t getting any bites, move on. The males will strike but only if you get your lure or bait is right in front of his nose. Rarely will he leave his nest unprotected to chase after prey. 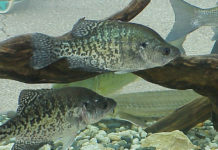 After a crappie spawn, which could be several weeks, a crappie’s behavior and therefore location will begin to change. As summer approaches, crappie will gradually move away from the shallows into deeper water. 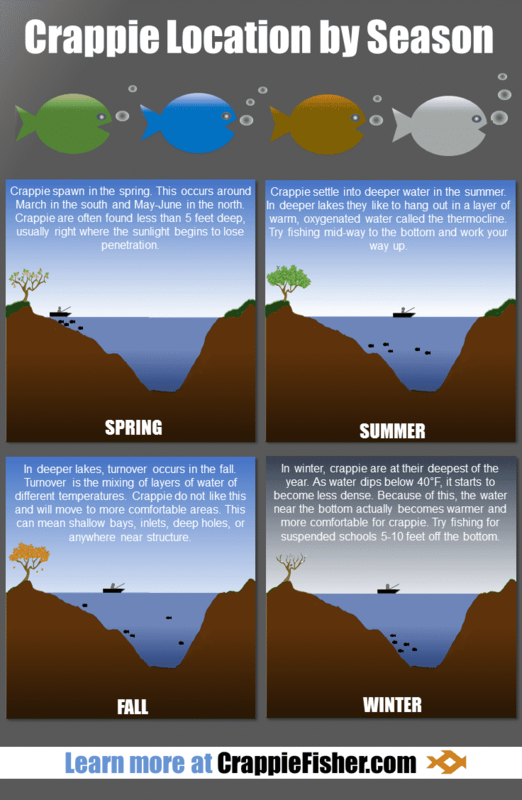 If you are fishing the spawn and wondering exactly what to look for, check out the crappie spawn FAQ. During the summer, many bodies of water will begin to stratify. Stratification is the process of different temperature water layers forming due to the increased heat from the sun. A warm, oxygenated layer will form on top, a cold unoxygenated layer will form on the bottom (due to cold water being denser than warm water), and in between a cool, somewhat oxygenated layer will form. This layer is called the thermocline. Often times this is where the crappie will be during the summer since it holds oxygen and is at a comfortable temperature. A good place to start is in the 10-20 foot range. Trolling along the edges of weed beds can be a great way to find summer crappie. Depending on the time of day, crappie will change locations due to the varying levels of light. In the morning, they can be found closer to the surface and close to (or even in) the weeds, maybe 5’ to 10’ down. As midday approaches and the sun’s rays penetrate further into the water, crappie will move deeper into the 20’ range, often times near drop-offs or ledges but still within range of cover. Fall can be a stressful time for crappie as well as for the anglers who fish them. In many lakes and reservoirs, the water will actually “stir” itself up when the water near the surface begins to cool. As the surface water cools it begins to sink due to its increased density. The stagnant water on the bottom, which is no longer cooler than the surface water, begins to rise. This creates turnover, a cycle which mixes the different layers (temperatures) of water together. 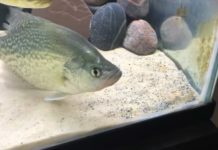 Eventually, the temperature of the water as a whole begins to stabilize, the water becomes clearer again, and the crappie move back into a more relaxed state. This whole process might take a few days or a few weeks, depending on conditions. 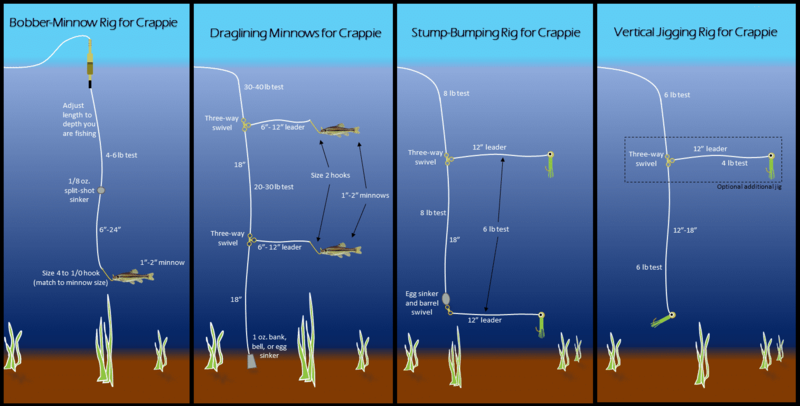 What does this mean to the crappie angler? It means you should find water that is in a more stable condition. 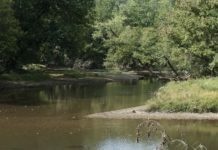 That could mean fishing shallower water, fishing water pre-turnover or fishing water post-turnover. The takeaway here is that crappie will move into water with the most comfortable conditions, and so should you. It is worth mentioning that not all bodies of water will turnover in the fall. This is especially true of rivers and flowages that are constantly being churned and mixed anyways as well as shallow lakes that don’t stratify. 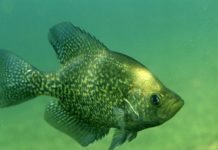 During the latter half of fall after turnover has completed (in applicable waters), crappie will move deeper and their temperaments will begin to stabilize. Usually you can find them suspended off the bottom near the edges of weed beds and other structure. Here are some specific tips and tricks on how to find stubborn fall crappie. When the water gets coldest, crappie begin to settle back into a rhythm. 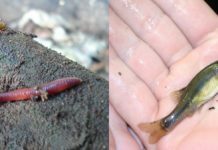 Like in the latter half of fall, they will most likely be hanging out within 15 feet of the bottom, near ledges, channels, or other structure. In waters that freeze, ice fishing should not be overlooked as a great way to catch winter crappie. Because the water is cold, crappies metabolism will slow down, which means they will be slower. When presenting a lure to winter crappie, take it slow. They will not chase after a lure that is moving too fast. In general, the slower the better while still giving the lure some action. Slowing your lure down can be done by down-sizing the lure itself, increasing the weight of your line, or using a bobber. I am Jake, I grew up fishing for crappie on the lakes of Wisconsin. 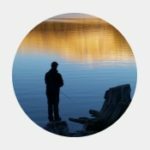 I am here to share my love for the sport and hopefully help you catch more crappie, more consistently.